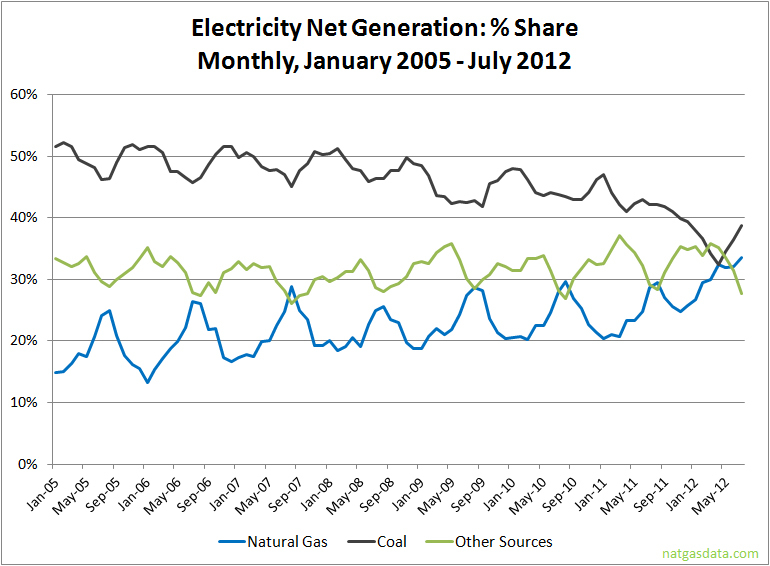 July's power generation numbers show that for the third straight month, coal gained in its share of power generation fuel. 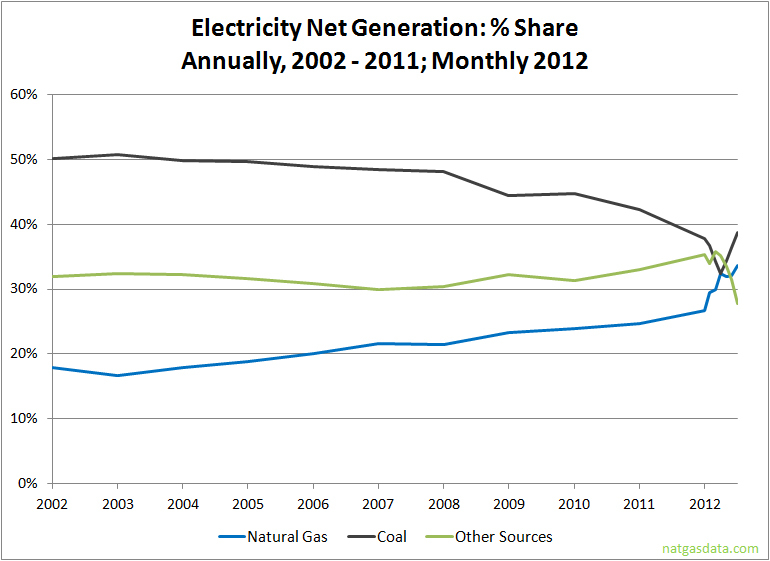 Coal rose by 2.3 percentage points to 38.7% of all generation, while natural gas rose by 1.5 points to 33.6%. Other sources dropped by 3.8 points to 27.7%. 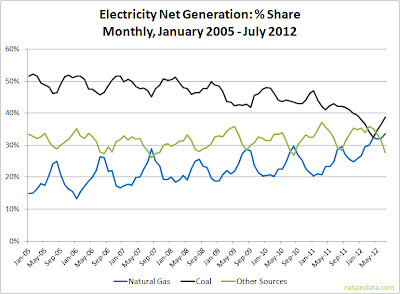 Back in April 2012 when gas prices were at a decade-low level, coal and gas were tied at 32.4%, but since then coal has retaken its historical lead, as shown on the chart below. The changes in the power generation market caused by shale gas are pretty extraordinary and are apparent when you annualize monthly figures going back to 2002, shown below. 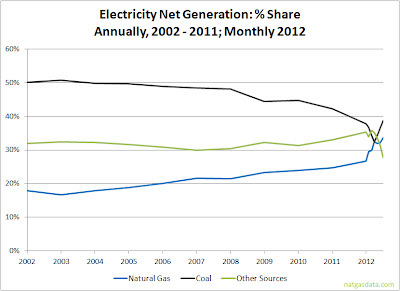 The sudden surge of natural gas as a power gen fuel is mainly price-driven and is not sustainable if gas prices go too high, but as aging coal plants are retired over the next decade, I suspect that the the lines on the chart above representing the mix of fuel will remain pretty close to one another.